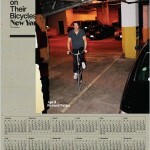 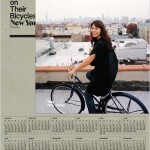 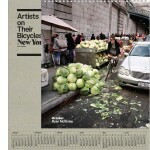 The Swiss Institute is proud to announce it will unveil the ‘Artists On Their Bicycles’ 2010 calendar at this year’s Art Basel Miami next month. 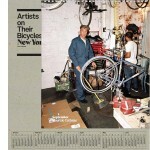 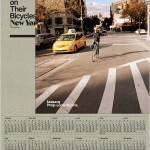 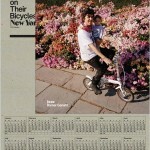 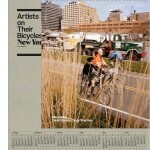 As one would expect from a title like Artists On Their Bicycles, the calendar features 12 of New York’s most notable artists cruising the Big Apple on their two-wheeled steeds. 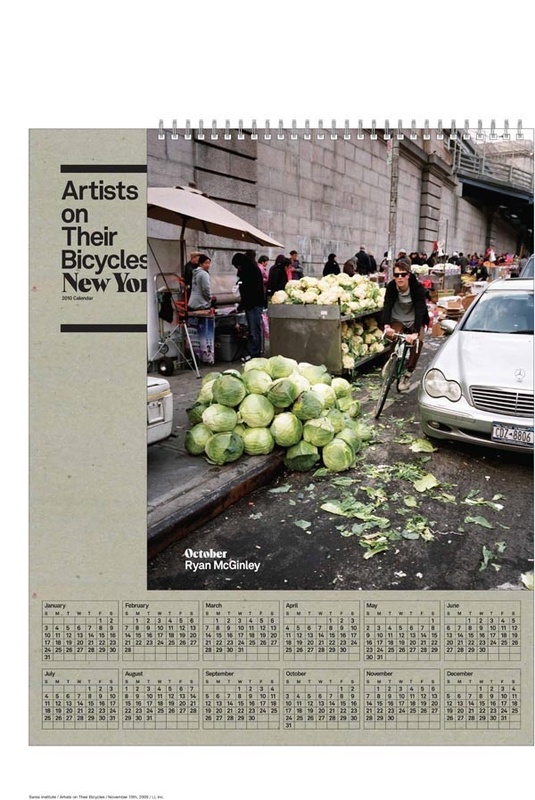 Some of you may recognize photographers Ryan McGinley and Terry Richardson, or how about David Byrne (of the Talking Heads) and his wife Cindy Sherman – they are all in there! 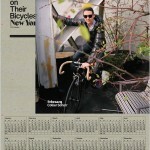 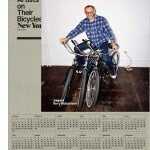 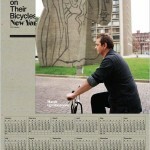 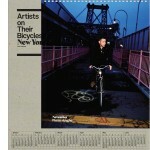 The calendar measures 12 x 14.375-inches, is numbered and limited to only 500 prints, making it a real collectors piece.